Huddersfield have entered talks to sign Charlton Athletic striker Karlan Grant, Sky Sports News understands. The Terriers are in the market for a striker this month and Grant has impressed in League One, scoring his 14th goal of the season in Saturday's 1-0 win over Accrington Stanley. Brentford and Millwall are also interested in the 21-year-old, according to Sky sources. 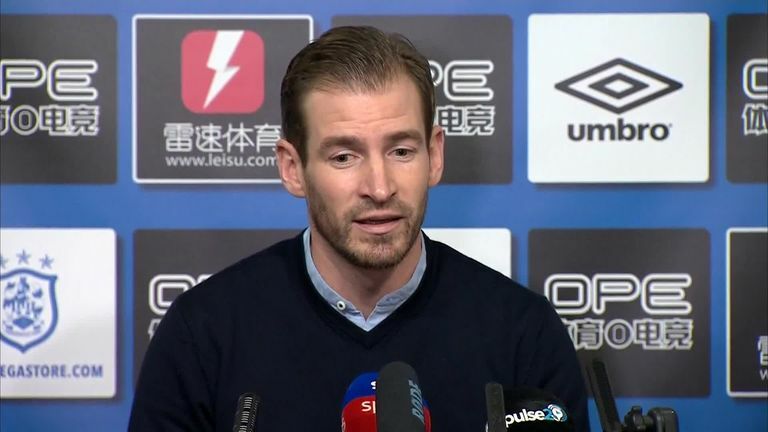 New Huddersfield manager Jan Siewart will be hopeful of completing the signing as he attempts to keep the Terriers in the Premier League. The 36-year-old German was appointed on a two-and-a-half-year contract with Huddersfield three points adrift at the bottom of the Premier League, 10 points from safety after 23 games.